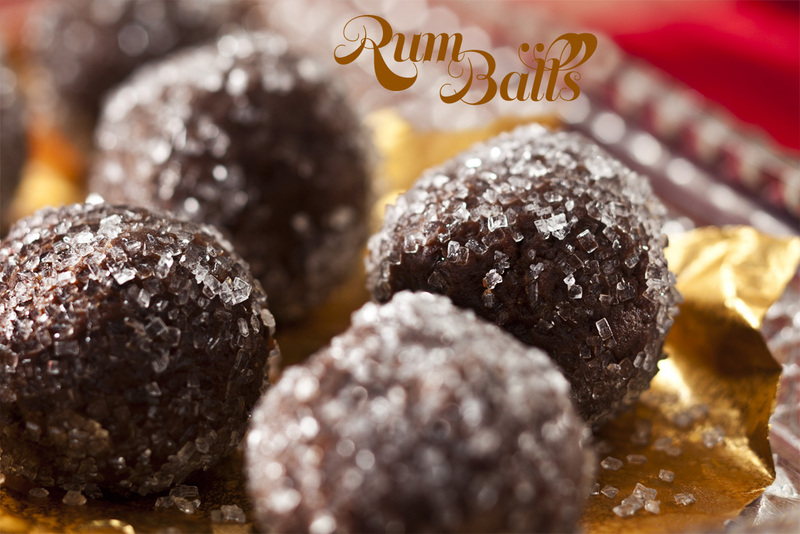 I’ve been thinking about Rum Balls all year, after trying my first Rum Ball at a holiday party last winter. They were bakery bought Rum Balls and I wanted to keep popping those rum balls into my mouth. I made my first batch this season. There are lots of recipes to choose from but I was looking for the most chocolate and rum I could get. I tried this recipe, it’s like baking brownies. As opposed to most recipes that call for wafer cookies. Those did not seem like it would give the richness I am after. Next time I would like to try some of the 90 proof rum I saw at the store. 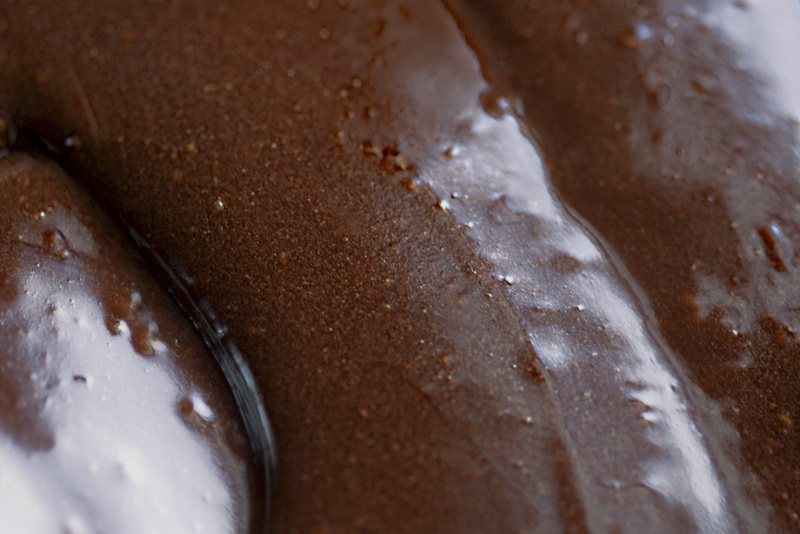 And instead of rolling them in crystal sugar, which was just to sweet and crunchy, try some chocolate shavings. I have to say the search is still on for a better recipe. Perhaps more of a truffle approach cuz there is still one more batch to make for the holiday party. The quest for rum balls continues. second attempt at making this recipe, I baked the brownie mixture a little longer to dry it out more in an attempt to add more rum. This seemed to help, and them added a few more tablespoons rum, which did make it a bit more gooey. So I took what i had on hand and mixed in another 1/2 cup of Ghirardelli hot chocolate mix. 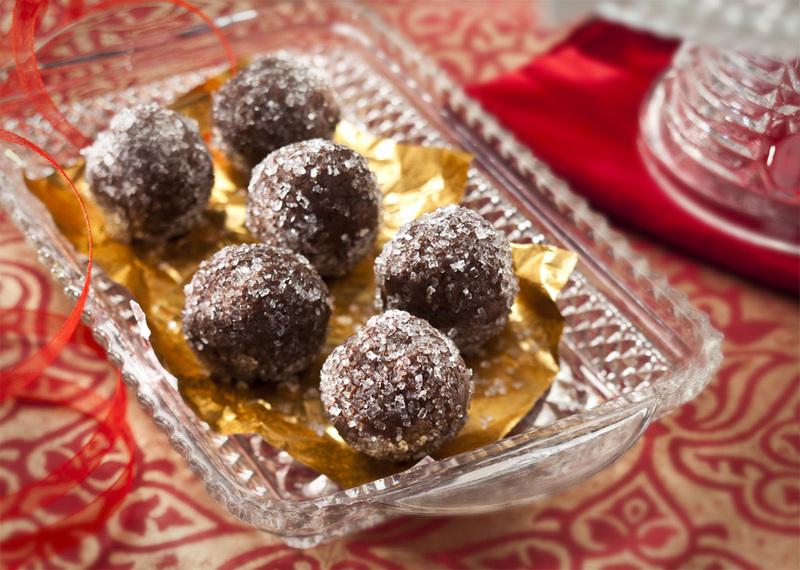 I also used the ghirardelli hot chocolate mix to roll the rum balls in-this was a big improvement on the last batch of rum balls.